Rays of Hope was established in 2009 in Chilomoni, Blantyre, Malawi’s second largest city. Our mission is to nurture children and youth and empower them with abilities essential for life management, academic excellence, and spiritual development in order to become competent Christian leaders. Rays of Hope works to mitigate the low rate of retention for primary school children, the lack of academic assistance for children during after-school hours, the high rate of youth unemployment, and the lack of positive role models in the community. Our teens are trained in typing, computer literacy, leadership, and life management skills and are given the opportunity to work with our children to earn some money. We offer tutoring and academic assistance to supplement the education our children receive at the under-resourced and overcrowded government schools. 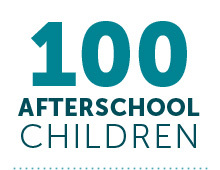 We motivate and assist our children to strive for academic excellence through the AfterSchool Programs.